You are currently browsing the category archive for the ‘Warc’ category. 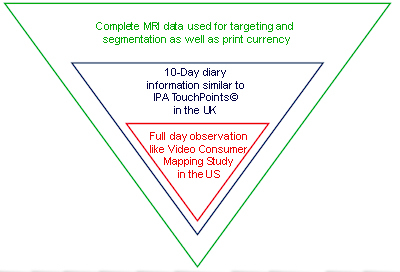 IPA’s TouchPoints Touches Down in U.S.
Mediamark Research & Intelligence (MRI) seems to have provided the missing piece in a program that will offer American researchers the opportunity to tap into a new audience-metric service designed on the U.K.’s Institute of Practitioners in Advertising’s (IPA) TouchPoints© initiative. MRI and MBI began working together on a U.S. TouchPoints test in 2009 with a program in Detroit and Indianapolis. 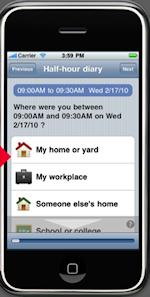 50 adults in these two markets – all of them respondents to MRI’s “Survey of the American Consumer” – completed an iPhone-based electronic diary, reporting their daily activities, media usage, and mood by entering this information for a 10-day period at half-hour intervals. The participants did not have to be dragged into the process. According to MBI, more than 80 percent of the MRI respondents agreed to participate in the pilot; of that group, more than 90 percent completed entries for every half-hour for 10 consecutive days; 80 percent said that they had been able to provide reasonably complete and accurate information… “always or almost always”; on a 10-point scale (where 10 equaled “extremely enjoyable”), the participants, on average rated the experience as 8.1. And, seemingly, the experience was painless: 90 percent of the entries took 90 seconds or less. “For USA TouchPoints© Success, we had to have a credible media neutralist,” said Jim Spaeth, MBI founding partner/chief strategic/chief financial officer. With data from its semi-annual survey, MRI provided the third-party objectivity that MBI needed to complete its TouchPoints USA model. “We also had to be grounded in proven multimedia measurement systems and be marketplace driven,” Spaeth added. And, so it was only appropriate that Spaeth and Bill Moult, MBI ceo/founding partner, selected the 4A’s 2010 Transformation leadership conference in San Francisco to unveil their new service. MBI has a different kind of partner in its nearly two-year-old startup. Indiana’s Ball State University – renowned in American research circles for its 81-year-old Center for Middletown Studies – is working with Spaeth (former president of the Advertising Research Foundation) and Moult (former president of the Marketing Science Institute) to direct the fortunes of MBI. To jump start its program, the new organization received a $3.5-million grant from the Nielsen-funded Council for Research Excellence. 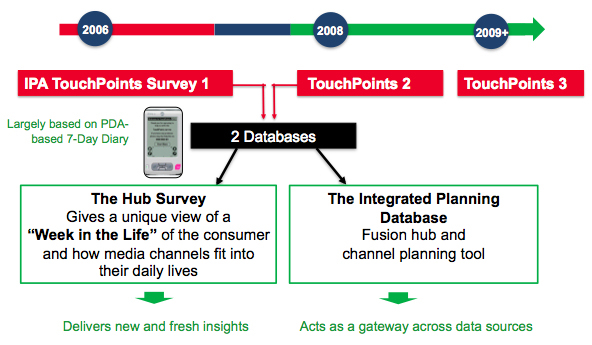 And, in 2008, Ball State and MBI announced that it had already licensed the “TouchPoints” methodology from the IPA. Different screens will facilitate data entry, offering a wide range of settings (where are you watching? ), audience size (with whom? 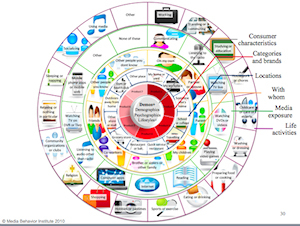 ), activities (are you traveling or at work?) and media (a scrollable list of different broadcast options as well as digital destinations, search engines, and even e-reading choices). The goal, say its founders, is for MBI to complete a 360-degree media-consumption matrix that provides far richer information than single age and gender audience pockets.